The reaction to Judge Sonia Sotomayor as President Barack Obama’s first nominee for the United States Supreme Court has been interesting. Predictably, the moment the nomination was announced, indeed, even before it was officially announced, the critics were out in force, and defenders of the nomination responded that a lot of the criticisms were petty and designed to focus attention away from Judge Sotomayor’s actual qualifications. She has been on the Circuit Court bench for a long time, and much has been made of the fact that she is the first Hispanic to be nominated to the highest court in the land. Administration officials and other supporters say Judge Sotomayor would bring more judicial experience to the Supreme Court than any justice confirmed in the past 70 years, a comment perhaps designed to shift focus away from her actual weaknesses. There is the expectation that President Obama’s first pick will be confirmed regardless of, or perhaps in spite of, whatever the critics produce. We have a tendency in this country in recent years to bestow special deference to certain people based upon nothing more relevant than their race, gender, or other circumstances that are not relevant to the situation in question. 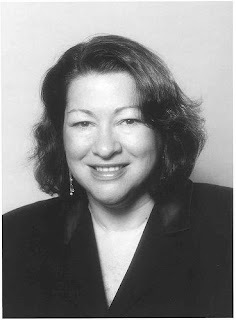 If you are a minority, or have accomplished a good deal despite long odds, both of which describe Judge Sotomayor, that buys you a lot of favorable consideration, as well as the protection of a political correctness shield: criticize this woman, no matter how substantive the criticism, and you are a cad, a racist or a bigot. "I think this is a bold and fairly masterful political stroke by President Obama," strategist Phil Musser told ABCNews.com. "This is not a pick that necessarily can be good politics for Republican senators. I mean, having older white senators up there grilling the first Hispanic – up-from-the-boot-straps, Hispanic Supreme Court nominee – that's a tough one for us OK, let's just be honest about that." However, we cannot refuse to look into Judge Sotomayor just because she is a Hispanic, just because she overcame adversity, or just because she is a she. Leaving aside for the moment Prof. Adler’s defense of the judge’s comment as nothing surprising or out of the ordinary, another of her comments is far more troublesome. “I would hope that a wise Latina woman with the richness of her experiences would more often than not reach a better conclusion than a white male who hasn’t lived that life,” she said. Are wise Latina women with a richness of experience somehow better at applying the laws than white males whose experiences are less rich? Judge Sotomayor now says she chose her words poorly. However, this comment seems to reflect the thinking of the president in choosing her for the position. In comments criticizing Supreme Court Chief Justice John Roberts back in 2007, then-Senator Obama said that "We need somebody who's got the heart, the empathy, to recognize what it's like to be a young teenage mom. The empathy to understand what it's like to be poor, or African-American, or gay, or disabled, or old. And that's the criteria by which I'm going to be selecting my judges." "I strive never to forget the real world consequences of my decisions on individuals, business and government," Judge Sotomayor told those gathered at the White House for the nomination announcement. But in many ways judges are pretty much black and white people, not so different from baseball umpires. Umpires have a set of rules which directs them in their work, judges have the U.S. Constitution and the laws of the land, and it is not within the authority of either to change the rules in the middle of the game. Imagine if when calling balls and strikes, or close plays at the plate the home plate umpire empathized with the batter or runner instead of objectively calling pitches, or took into consideration the race or economic class of the player, and decided that since ol’ Vinny was a good guy who rose up from a bad home life, maybe he’d give him a walk instead of a strikeout? Or that Team A really needs a run worse than Team B needs an out, since Team A hasn’t won a game all season? Is this what the rule of law and the concept of justice are all about? “But,” you may be saying, “baseball and the law are not the same thing. Baseball is just a game” That’s right, and the law is far more important, and is not a game. It is a deadly serious matter, and that’s why the law must be stable and free from the whims of judges. Like viewing the U.S. Constitution as a so-called living document, the meaning of which changes with the tides, judges who inject empathy and other non-judicial elements into legal proceedings destroy the stability of our laws, destroying justice along the way.